Matt Baker was appointed by the White House in February 2018 to serve as Regional Director of the U.S. Department of Health and Human Services for Region III. 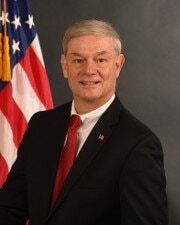 As a Presidential Appointee, Mr. Baker provides executive leadership as the primary representative for the Secretary of Health and Human Services. The Office of Regional Director is tasked Intergovernmental and External Affairs (IEA) bringing together federal, state, local and tribal government organizations, along with other external partners. In this role, Mr. Baker is responsible for: Delaware, Pennsylvania, Maryland, Virginia, West Virginia and the District of Columbia as well as seven recognized tribes. Mr. Baker served in the Pennsylvania House of Representatives for 13 consecutive terms (25 years) and was the Majority Chairman of House Health Committee. He was a Member of the Rural Caucus, the Cancer Caucuses, the 2nd Amendment Caucus and the Firefighters and Emergency Services Caucus. He also served as Speaker Pro Tempore of the House when the Speaker could not preside over the House. Mr. Baker served on the Board of Governors of the State System of Higher Education (PASSHE). Mr. Baker brings over 37 years of experience in state government public service with him. Prior to his election in 1992, he served as a legislative aide for 12 years and as an elected Republican Committeeman in Wellsboro. Previously, he worked in a Wellsboro law firm for 12 years where he specialized in serving people with disabilities. He was also active in helping to establish the Tioga County Dental Clinic and Wellsboro Area Food Pantry. During his tenure with the Pennsylvania House of Representatives, he was honored with the following: 2017 Legislator of the Year Award by the Pennsylvania Pharmacists Association; Distinguished Advocacy Award by the American Cancer Society Cancer Action Network; You Make a Difference Award by the Community Liver Alliance; 2017 Champions for Children Award by the Pennsylvania Partnerships for Children; 2016 National State Official of the Year Award by the Healthcare Information and Management Systems Society; 2016 Healthcare Information Technology Legislator of the Year Award by the Pennsylvania Chapters of the Healthcare Information Management System Society; 2015 Pink Ribbon Award by the PA Breast Cancer Coalition; 2015 Partnership in Excellence Award by the Pennsylvania Association of County Drug and Alcohol Administrators; 2014 Legislative Leadership Award by the Pennsylvania Association of Community Health Centers; 2014 Legislator of the Year Award by the Pennsylvania Academy of Family Physicians; 2013 Friend of County Government Award by the County Commissioners Association of Pennsylvania; 2013 PA Orthopedic Society’s Legislator of the Year Award; the Defender of Liberty Award by the American Conservative Union in 2012 and 2013; Rural Health Legislator of the Year Award by the Pennsylvania Office of Rural Health Leadership in 1998 and 2012; Outstanding Legislator of the Year Award by the National Multiple Sclerosis Society, Central PA Chapter, in 2010; Friend of Penn State Legislator of the Year Award in 2009; Pennsylvania Podiatric Medical Society Award in 2009; Ernestine Williams Advocacy Award by the Pennsylvania Public Policy Coalition in 2005; 2003 Friend of Family Medicine Award by the PA Academy of Family Physicians; and Public Health Excellence Award by the Pennsylvania Public Health Association in 2002. In addition, Baker was named a Guardian of Small Business by the National Federation of Independent Business multiple times. Mr. Baker graduated from Cowanesque Valley High School, Westfield. He holds an associate degree from Corning Community College, and earned a Bachelor of Science degree as an honors scholar from Elmira College. He attended Mansfield University and was awarded an honorary Doctor of Public Service degree. He is a member of the First Baptist Church of Wellsboro and the Wellsboro Rotary Club. Mr. Baker currently resides in Wellsboro, Tioga County, with his wife, Brenda.